Certain works of art are important not just for their intrinsic financial value, but also their cultural / aesthetic significance (a fact you are probably already well aware of). Some pieces however, completely transcend and become something greater than the sum of their respective parts. Yes, even the most expensive painting is still merely the end result of globs of colored oil paint being slathered onto a canvas, but one shouldn’t confuse utilitarian notions with that of the fine arts. After all, it is the structure that gives rise to the value, isn’t it? For instance, one could argue that the human body is simply a loose conglomeration of hydrogen, oxygen, nitrogen and carbon, but this wouldn’t be taking into account the intense organization that’s taking place on multiple levels simultaneously, would it? Art is similar in this respect, as it is really about organization, purpose and intention, often appealing on many different planes at the same time. Anyway, enough with the aesthetics lecture, let’s examine some of the world’s most expensive paintings (as of 2013), shall we? (Total value, not simply “prices sold at auction”). First up there’s the “Portrait of Adele Bloch-Bauer I”, with an estimated value of around $154 Million. 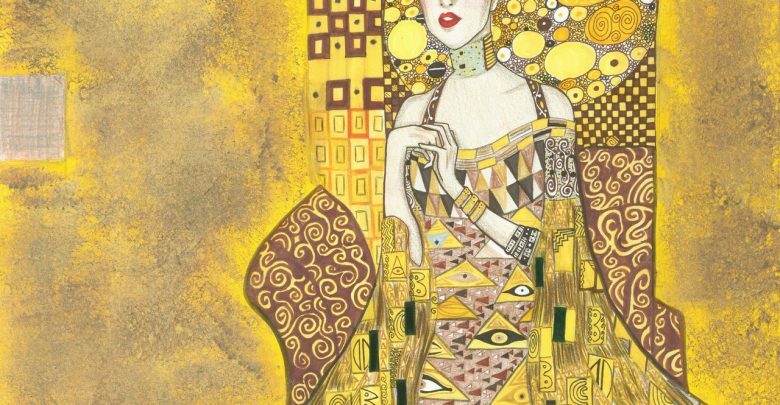 Created in 1907 by Gustav Klimt, this oil painting took around 3 years to complete and features the sort of ornamentation employed by artists of the Jugendstil style. Pablo Picasso’s “Le Reve”, which is valued at $155 Million, is a depiction of the artists’ youthful mistress. The piece itself features the characteristic somewhat distorted and angular style which was common during this period of his artistic career. The painting has changed hands a number of times and is currently owned by hedge fund manager Steven A. Cohen. 1953’s “Woman III” by artist William de Kooning is worth an estimated $158.8 Million. Firmly entrenched in an abstract expressionist style, the painting is oil on canvas and the subject (not surprisingly) is a woman. Ever the fine art lover, billionaire Steven A. Cohen purchased this piece from none other than David Geffen in 2006. Coming in at the 3rd most expensive painting in the world we have Jackson Pollack’s abstract expressionist masterpiece dubbed “No. 5” (which is worth an estimated 161.7 Million). The piece itself was created in 1948 and consists of a piece of fiberboard and mostly thick trails of yellow and brown paint. Nevertheless, this work is one of the most influential and highly lauded artistic pieces of all time. Paul Cezanne’s “The Card Players” is part of a series of oil paintings which were completed in the early 1890’s. Aside from being the 2nd most expensive painting in the world, this piece also carries the title of the most expensive painting ever sold. In other words, its value of $268.1 Million is largely attributed to the price at which it sold at auction in 2011. Last but certainly not least we have, Leonardo Da Vinci’s “Mona Lisa” which is valued at more than 759 Million. Much has been written and said about this amazing piece, but suffice it to say that it’s probably the most studied oil painting in history at this point.